Payless ShoeSource filed for Chapter 11 bankruptcy protection last week and announced that it would close 378 US locations, accounting for approximately 11% of the retailer’s North American footprint. Reports surfaced in February that claimed executives had considered shuttering as many as 1,000 stores. CSG filtered the store list released by Payless through our Apparel Store Locations Database to map each store closure at the zip code level below. 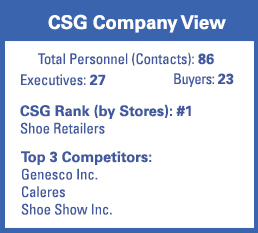 Source: Chain Store Guide’s Database of Apparel Store Locations.